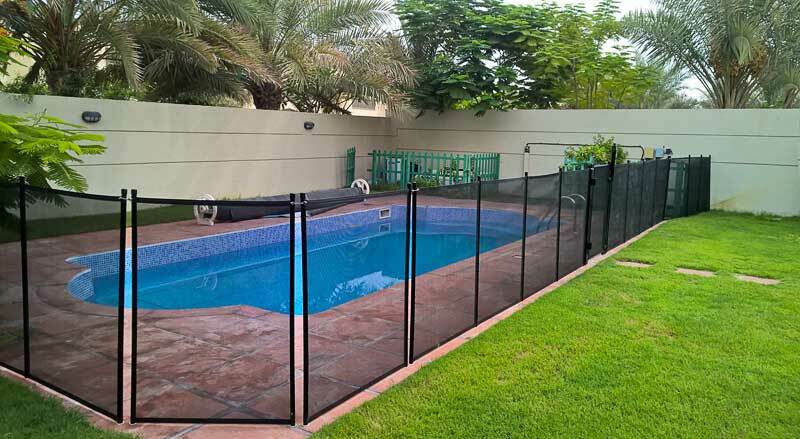 Swimming pool fencing is the simplest and most common way to secure a swimming pool for the safety of children. 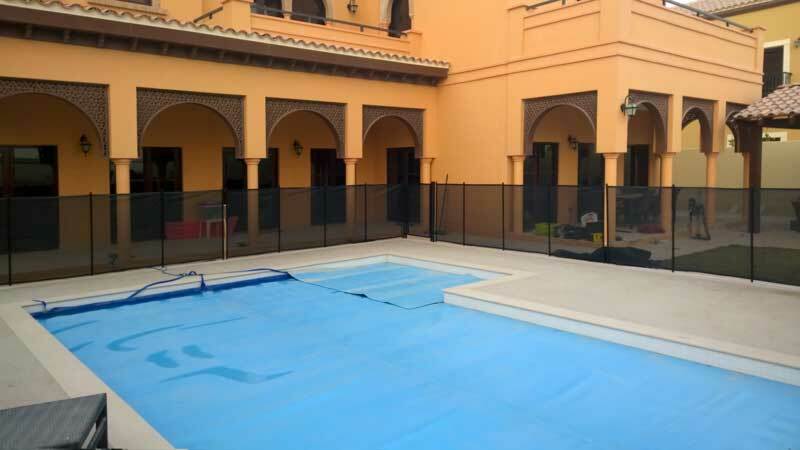 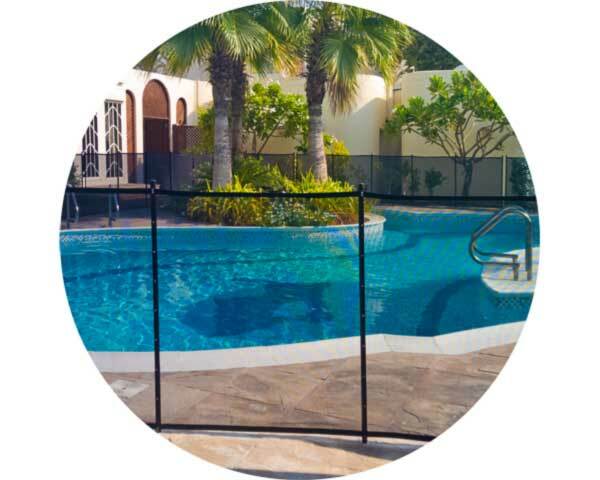 Our pool safety fence conforms to international safety standards and is 1.2 metres (4 feet) high. 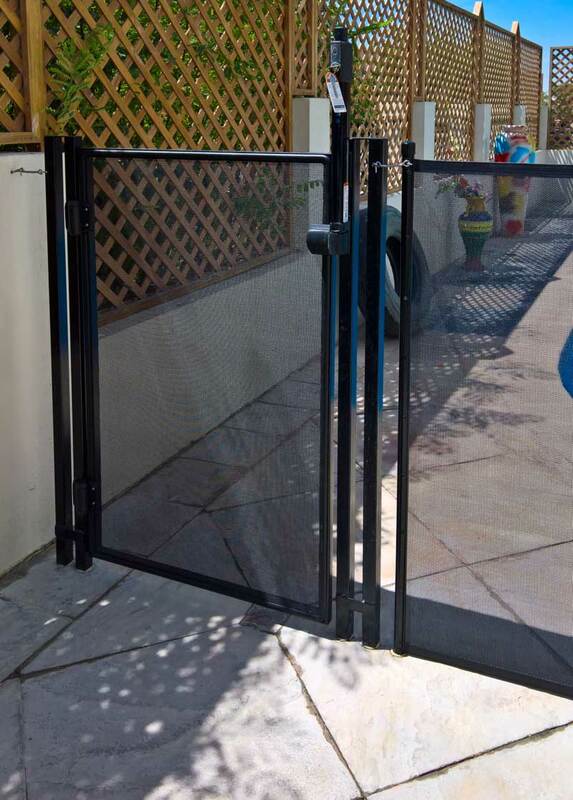 The fence is made in such a way that prevents children from being able to climb it, and comes with a self-closing, self-locking and key-lockable gate with Magnalatch lock and TruClose hinges. 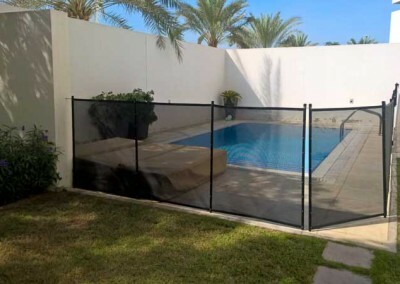 Aqua-Fence pool safety fence follows the American and Australian pool safety fencing model, is designed to be both removable, virtually transparent, aesthetically pleasing and minimalist. 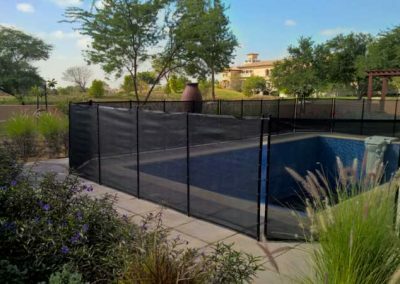 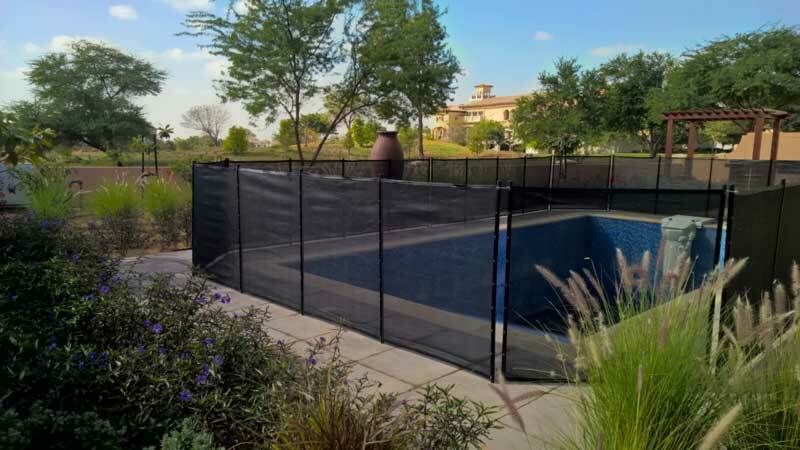 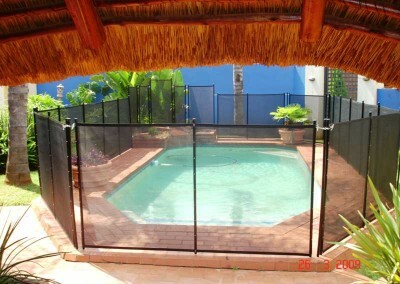 Why choose a pool safety fence ? 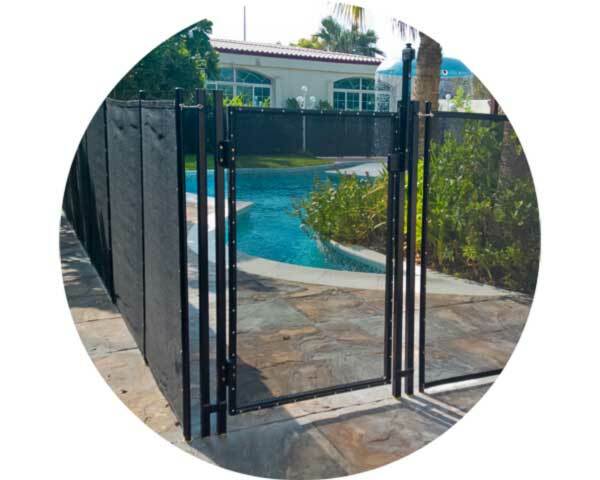 The safety gate gives convenient and quick access, and this is especially convenient if the pool is used many times a day. 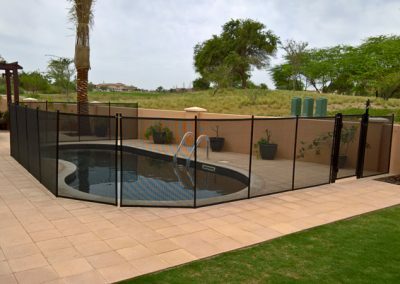 A pool safety fence can fit around most types of pool. 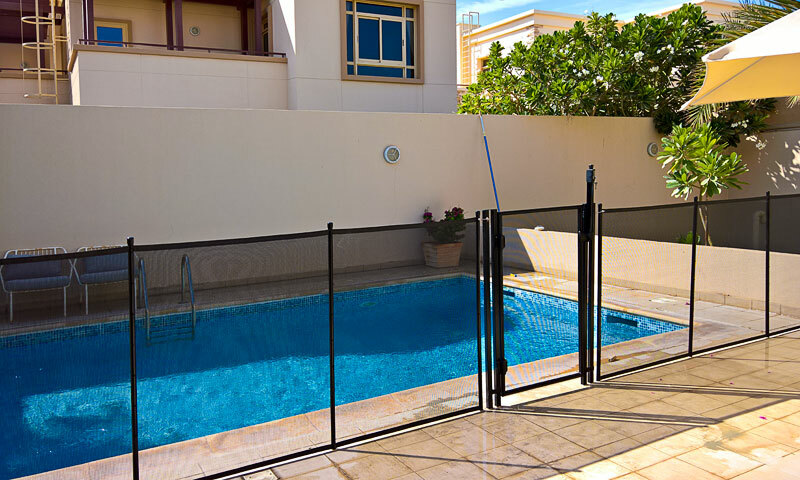 A pool safety fence which conforms to safety standards is considered generally safe. 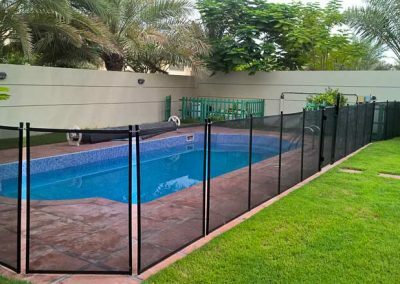 The overall length, and therefore the cost, of a pool safety fence can be reduced if it is fixed to nearby walls. 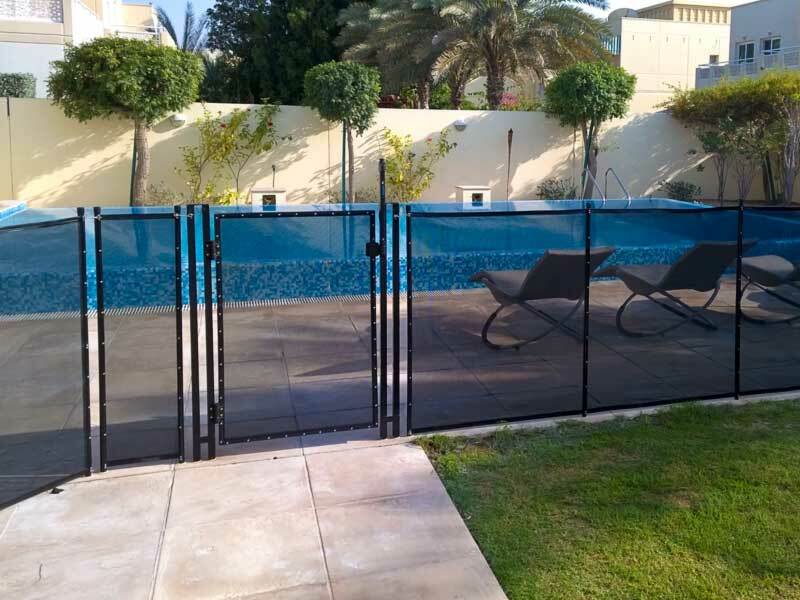 The pool should be closed on all four sides – a high wall can be incorporated but not the wall of a villa if there are windows or doors. 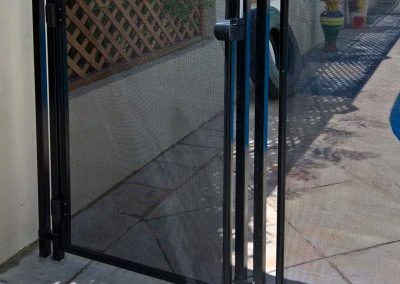 These would need to be secured. 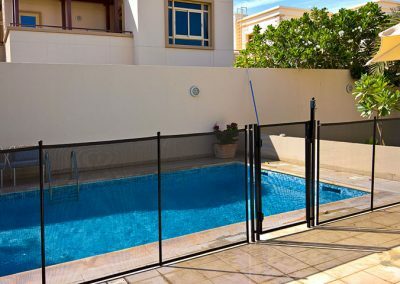 The fence should be fitted about one metre or more back from the pool edge leaving space for people to walk around comfortably inside. 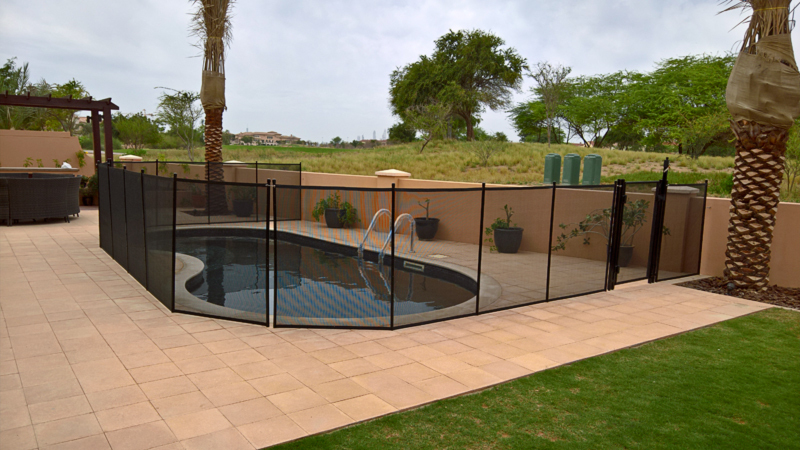 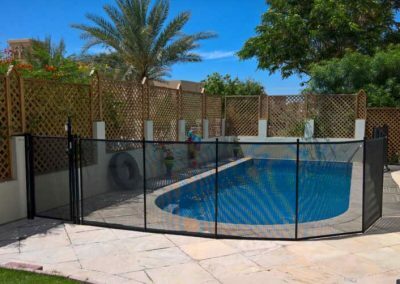 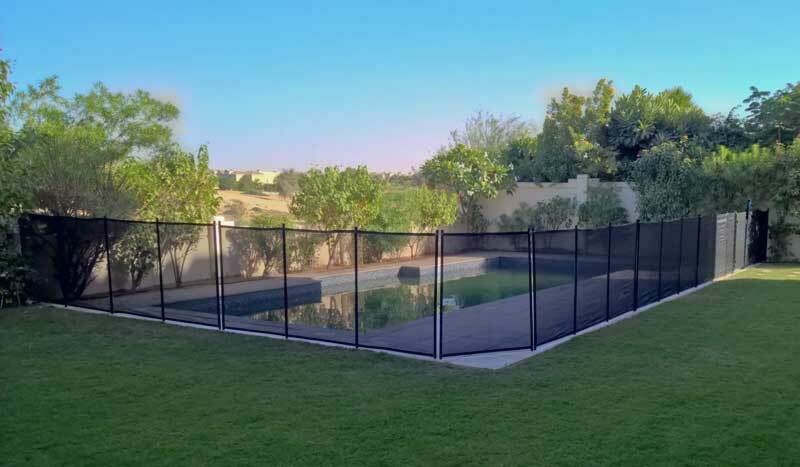 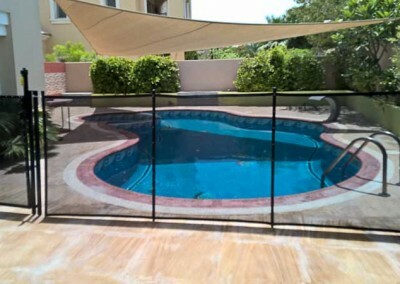 Pool safety fence at Al Mahra, Arabian Ranches, Dubai. 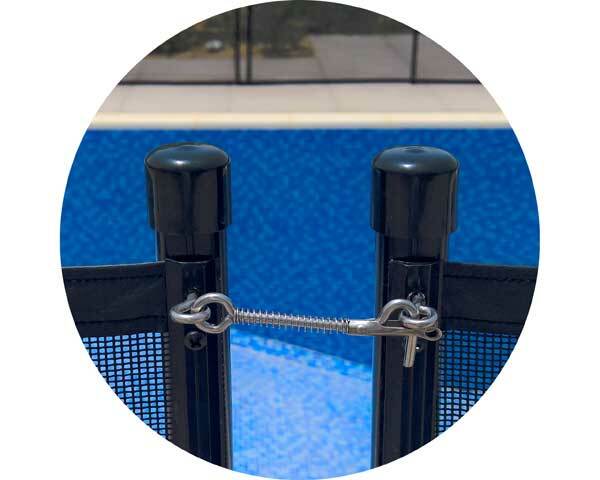 Self-closing, self-locking and key-lockable pool safety gate. 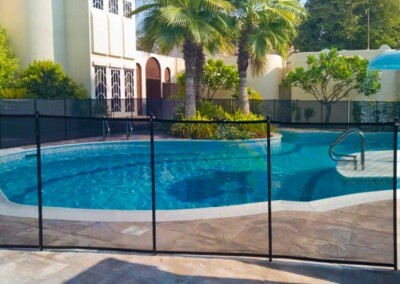 Pool safety fence at The Villa, Dubai. 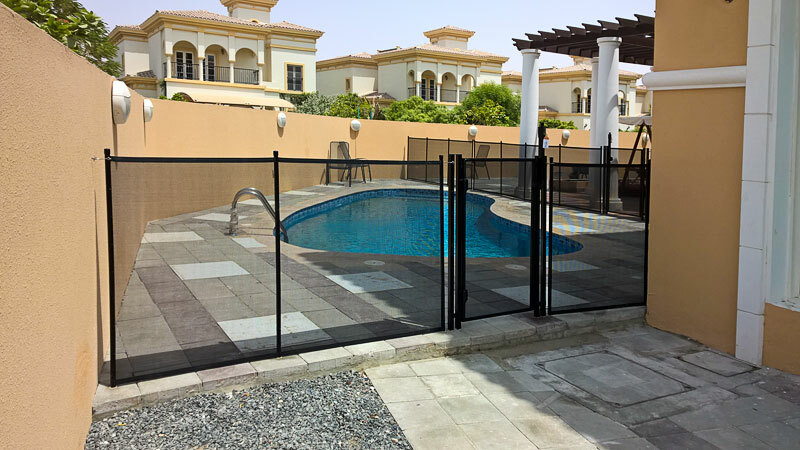 Pool safety fence at Victory Heights, Dubai. 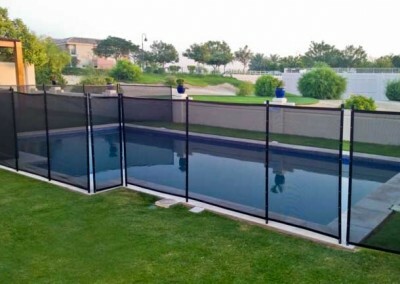 Pool safety fence Jumeirah Golf Estates, Dubai. 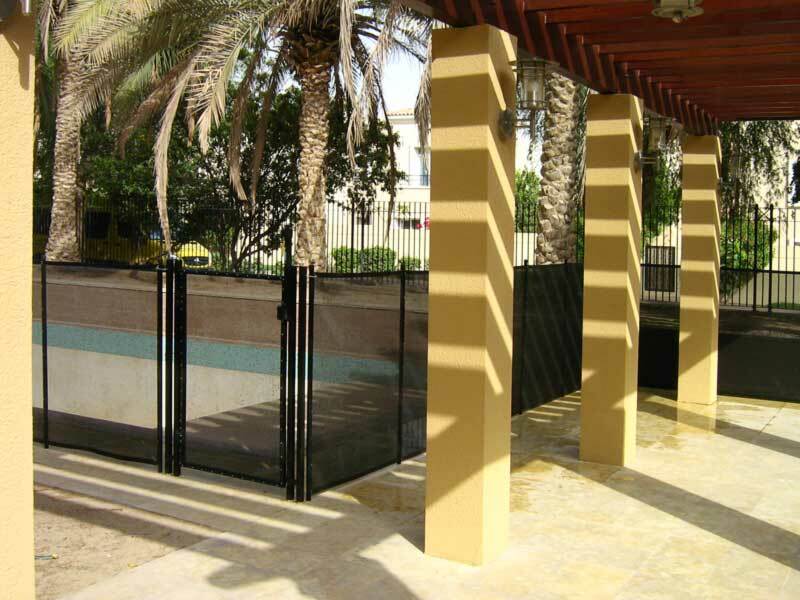 Pool safety fence Al Sufouh, Dubai. 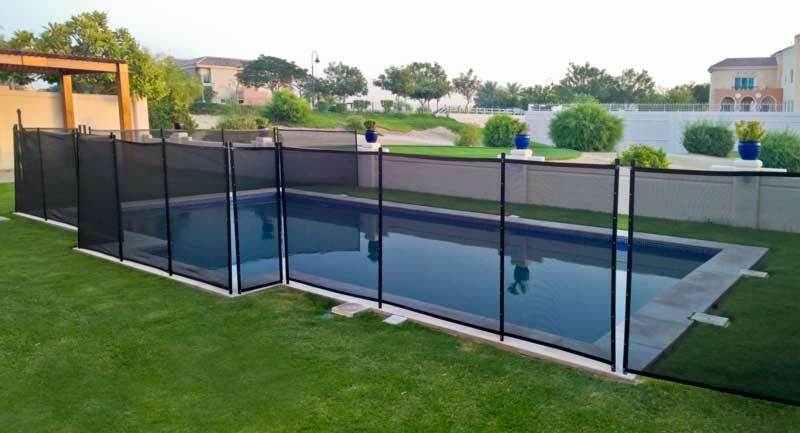 Pool safety fence at Al Vorada, Arabian Ranches, Dubai. 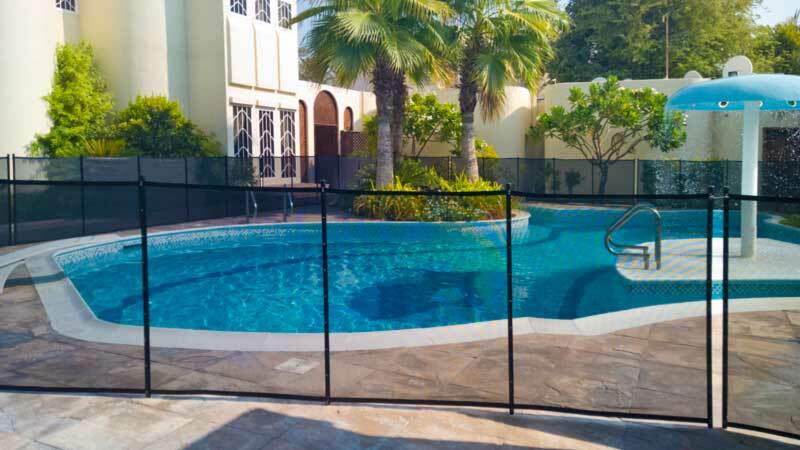 Pool safety fence Al Reef Villas, Abu Dhabi. 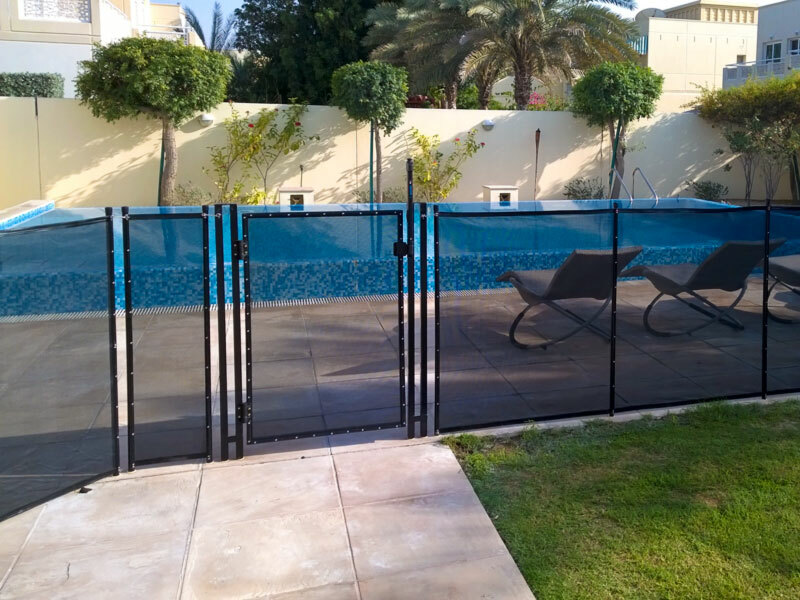 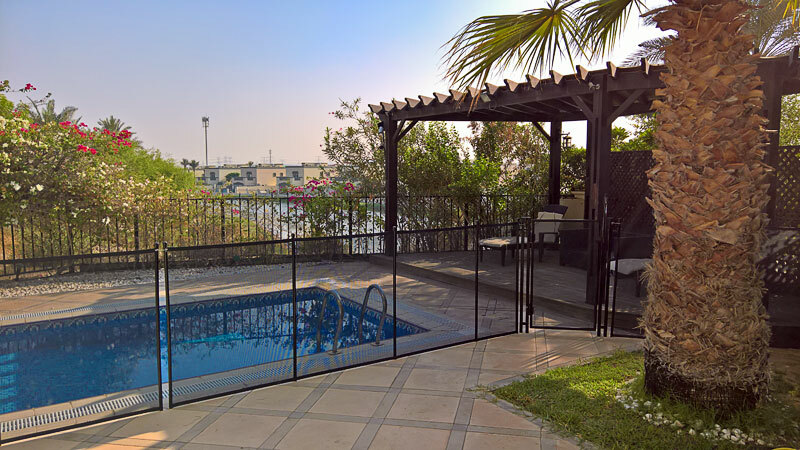 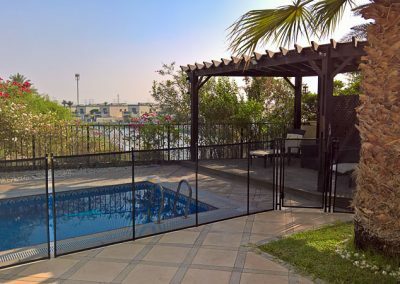 Pool safety fence at Al Furjan Villas, Dubai. 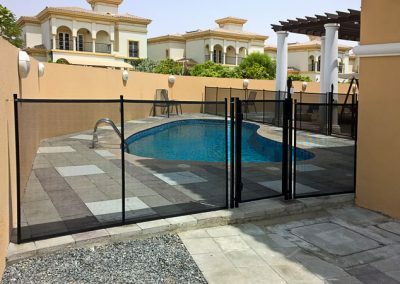 Pool safety fence Jumeirah, Dubai. 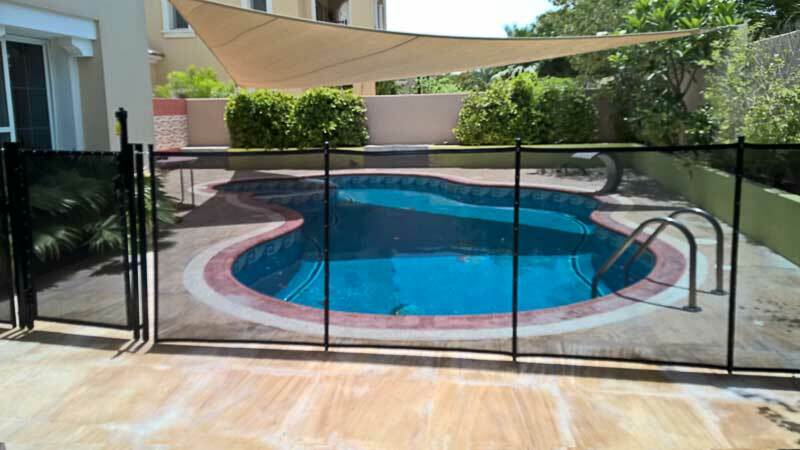 Pool safety fence, at Flame Tree Ridge, Jumeirah Golf Estates, Dubai. 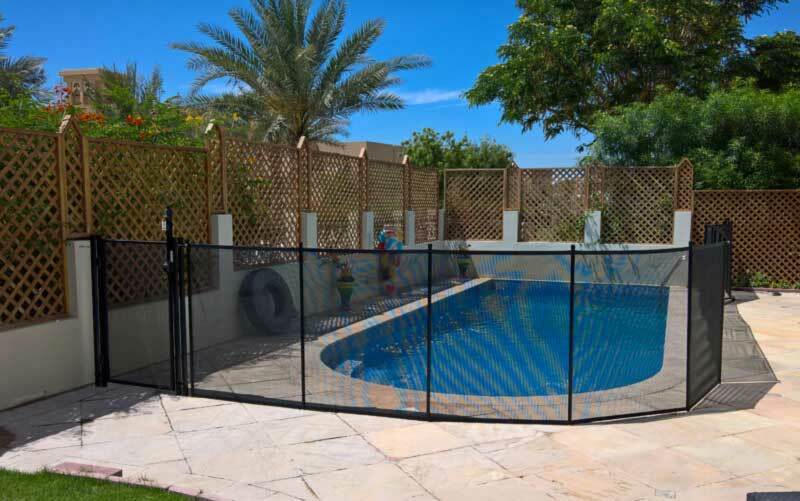 Pool safety fence at Arabian Ranches, Al Mahra. Pool safety fence at the Meadows, Dubai. 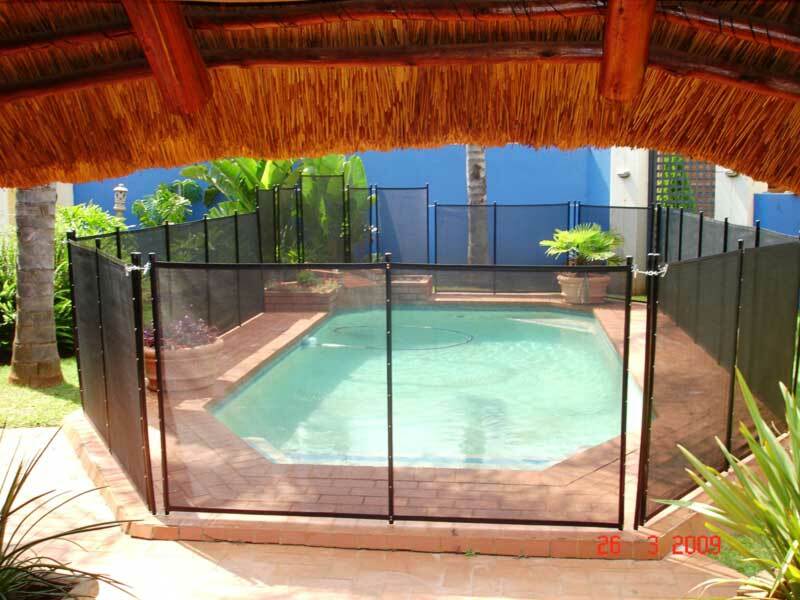 For a visit or a quote just send us your details. 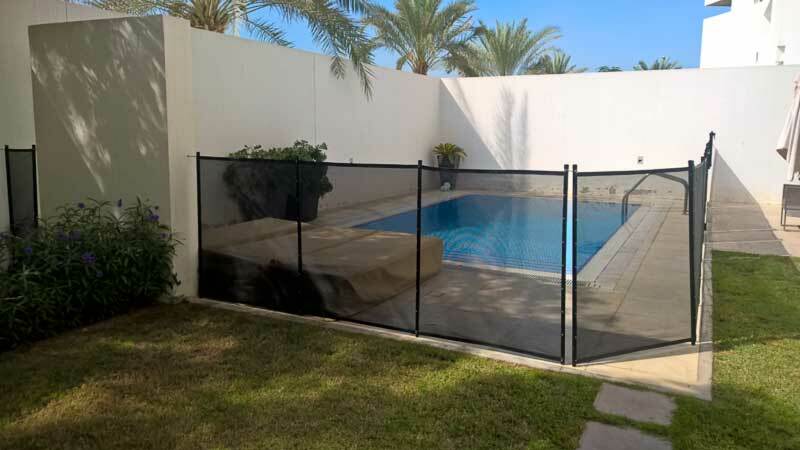 Or for a quick quote just tell us the total length of fence you need.